Florine Mendonca , passed away on December 14, 2015.Funeral Mass at 4pm on Tuesday, December 15 in St Antony�s Church, Kuntal Nagar, Udupi. Celina Rosalia Cornelio ,passed away on Wednesday December 9, 2015. 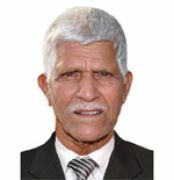 Funeral cortege leaves residence on for Milagreas Cathedral Kallianpur on Friday, December 11, at 4 p.m. Mass at 4.30 p. m.
Celestine D�Almeida ,passed away on December 7, 2015. Funeral cortege leaves residence Johna�s View, Maril, Puttur at 10.00 am on Thursday, December 10 for Sacred Heart Church, Maril, Puttur. 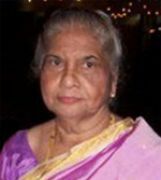 Rose Vas ,passed away on December 4, 2015 at Kenneth Cote, Mangalore. Funeral cortege leaves residence "Kenneth Cote", on Monday, December 7 at 3.00 pm for St Sebastian Church, Bendore followed by Mass at 3.30 pm. 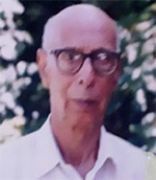 Felix Monteiro, passed away on December 1, 2015 at Mangalore. Funeral cortege leaves from their residence �SASHON�, Meera Compound, Kulshekar Chowki at 3.30 pm, followed by Mass at the Holy Cross Church, Kulshekar at 4 pm on Thursday, December 3. Delphine Lewis,passed away on Tuesday, December 1, 2015.Funeral Mass on December 1 at 4 pm in Holy Trinity Church, Powai, Mumbai. Irene Rodrigues , passed away on Thursday, November 26, 2015. Funeral cortege leaves residence L. D�Silva Compound, near Campco Quarters, Padil for St Vincent Ferrer Church, Valencia, Mangalore on Friday, November 27 at 3.00 pm. Viewing at 3.30 pm. Mass at 4.00 pm. Lydia Rasquinha,passed away on Monday, November 23, 2015. Funeral cortege leaves residence at 2:30 pm for Our Lady of Miracles Church (Milagress), on Wednesday, November 25. Mass at 3.00 pm. Carmine D�Souza ,passed away on November 18, 2015.Funeral cortege leaves residence �Divine� , Koppala House, Goodinabali, Jodumarga, B C Road for Infant Jesus Church, Modankap at 10.00 am on Friday, November 20. Mass at 10.30 am. Sr M Agnus BS,Passed away on Wednesday November 18, 2015 at St Raymond�s Convent Vamanjoor. She hails from Bantwal, Mangalore Diocese. Funeral Mass will be held St Raymond�s Convent Vamanjoor on Thursday November 19, 2015 at 4pm . A J Rodrigues passed away on Sunday, November 15, 2015. Mortal Remains will be brought to Immaculate Conception Church, Kinnigoli at 10.30 am on Monday, November 16. Mass at 11.00 am. Joseph Nikil D�Souza ,Passed away on Friday, November 13, 2015 due to cardiac arrest in Bahrain.Funeral at Immaculate Conception Church, Mulky. Date & time will be announced later. Josephine Milly Pinto Shirthady,Passed away on November 9, 2015 Funeral Cortege leaves residence ’Oshin Castle ’Shaktinagar Cross Road , Kulshekar for Cordel Church, Kulshekar on Wednesday November 11 at 3: 30pm. Mass at 4:00pm. Elizabeth Fernandes ,passed away on November 6, 2015.Funeral cortege leaves residence at 10:30 am for Mass at 11am followed by burial at Our Lady of Lourdes Church, Orlem, Malad (W), Mumbai.